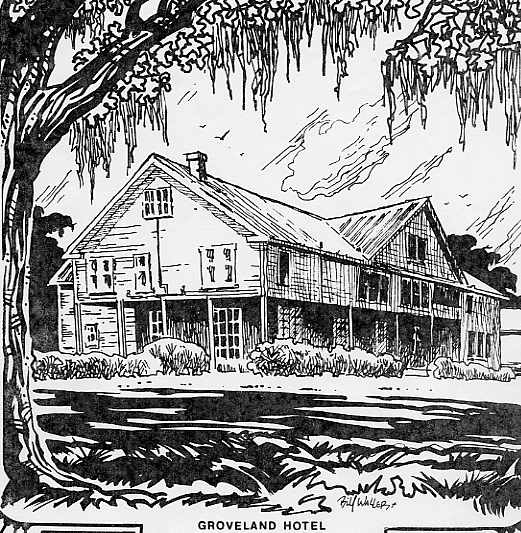 On May 7, 2002 the Groveland Hotel was devestated by fire. 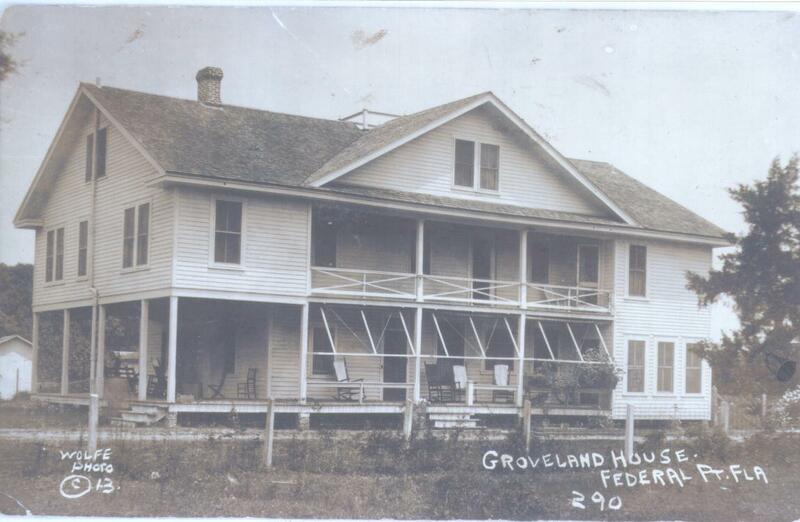 The Groveland House--On the St. Johns river, three miles from Hastings, is situated amid orange and grapefruit groves and vegetable farms. The table is supplied with fresh milk and cream, poultry, eggs, vegetables and fruit from our own farms. The house has modern conveniences. Bathing, fishing, duck shooting, and driving may be indulged in. 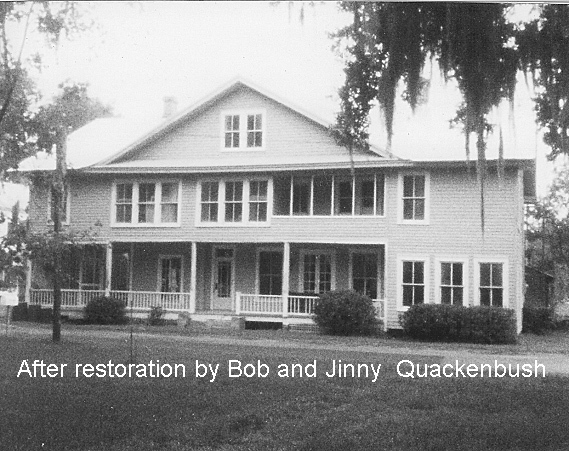 A quiet, home-like boarding house, accommodating twenty persons. 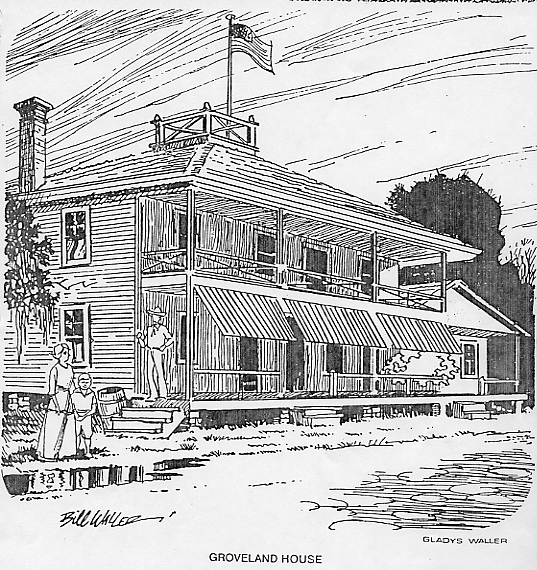 Write us, or wire care Telephone Exchange, Palatka, and our carriage will meet you at Hastings free of charge. Rates, $7.00 to $9.00 per week. 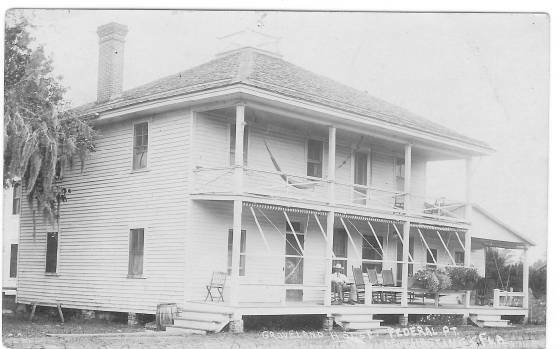 F. F. Tenney, proprietor."